At both the Milan and New York design weeks, many important classics by mid-century icons were re-introduced, including chairs by Frank Lloyd Wright and Carlo Mollino and tables by Paul McCobb. 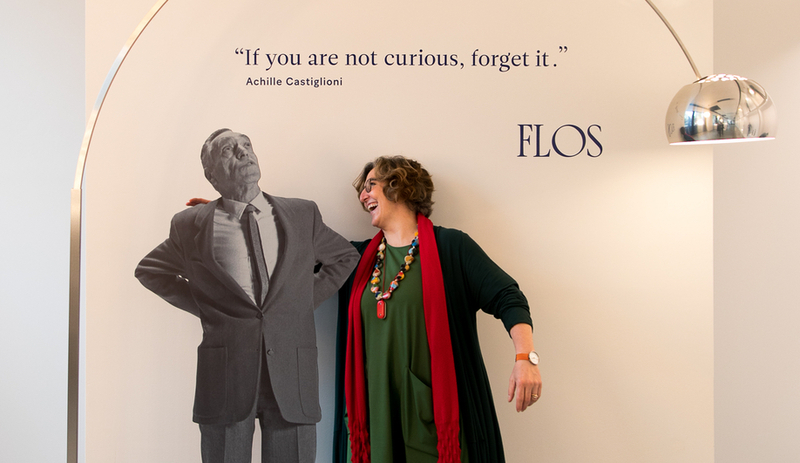 Flos went all out with an homage to Achille Castiglioni, in celebration of what would have been the Italian icon’s 100th birthday (he died in 2002 at the age of 84). 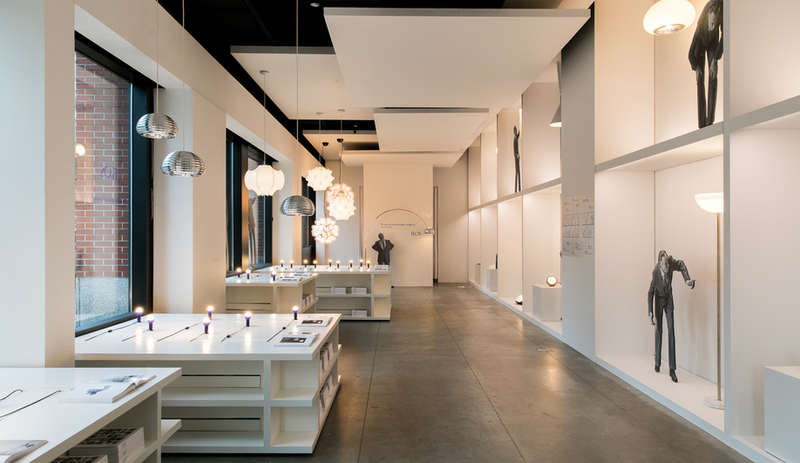 The full-showroom display by the lighting manufacturer highlighted the lessons that a new generation could learn from his endless ingenuity – and celebrated the very meaning of enduring design. 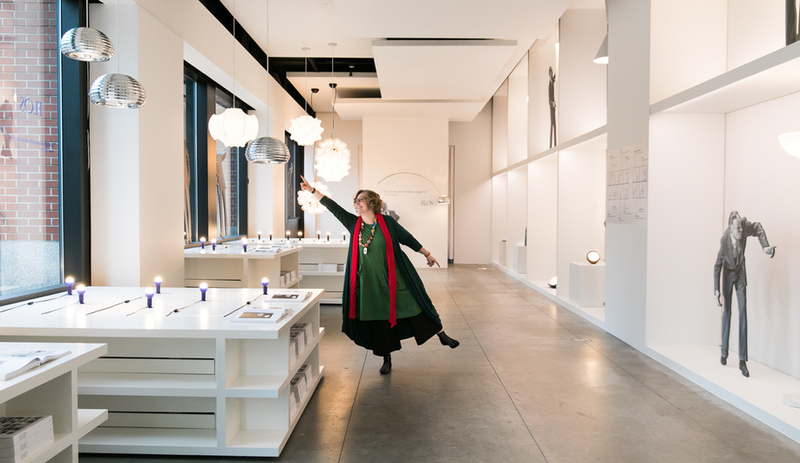 Achille’s daughter Giovanna Castiglioni is the vice president and general secretary of the Fondazione Achille Castiglioni and curator of the Studio Museo Achille Castiglioni. She has taken the opportunity granted by the centennial to promote the work the foundation undertakes to keep Achille’s memory alive, which this year included commissioning 100 contemporary designers to donate one anonymously designed piece in the spirit of the maestro’s appreciation for simple, timeless objects of great utility. Philippe Starck chose a paper clip and Formafantasma donated a broom. These items, along with those selected by Marcel Wanders, Michael Anastassiades and others, fill the vitrines of the foundation’s Milan headquarters. The exhibit has been extended to June 30, and the whole thing, called 100×100 Achille, is captured in a new catalogue for those who can’t make it to Milan. Students at the city’s famed Politecnica also created a collection of anonymous objects; and another monograph, Achille Castiglioni. Tutte le opera, celebrates the designer’s complete works. 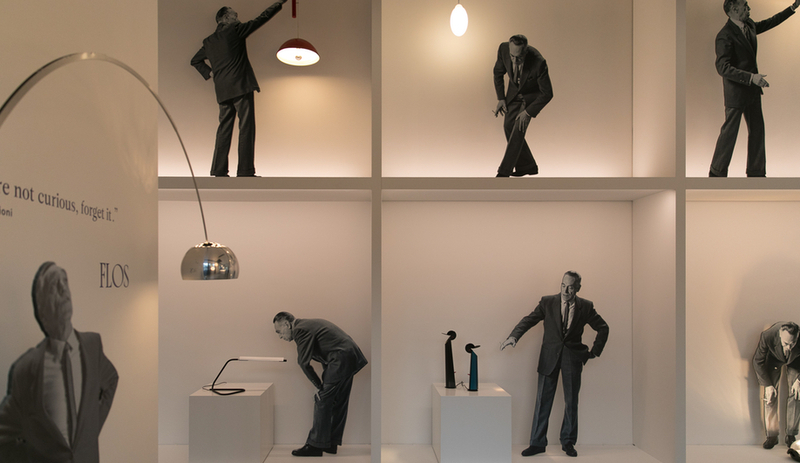 In its New York showroom, where Azure caught up with Giovanna, Flos curated a tribute with life-sized cut-outs of Achille gregariously gesturing at his works – including the Ventosa and the Nasa, which are being re-issued anew. It’s clear Giovanna inherited her father’s famous sense of humour and is an excellent ambassador for his enduring legacy. 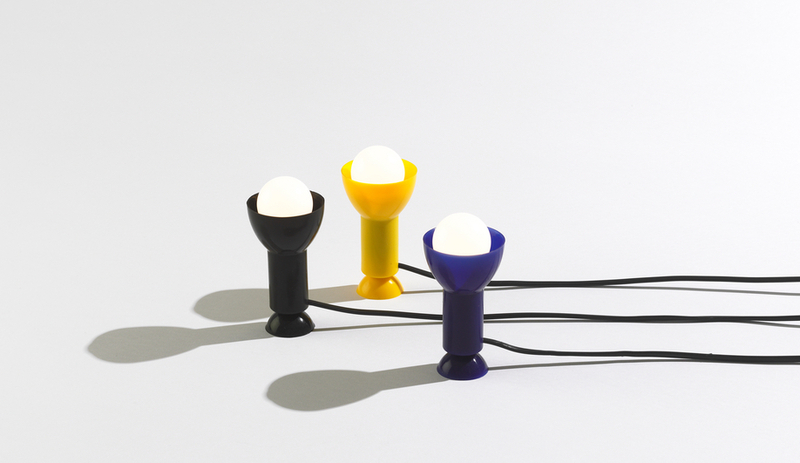 Earlier, during a talk at WantedDesign, she showed off the hidden functions of these reissued pieces, suctioning the Ventosa to her forehead and sticking the tiny bulbs of Nasa (Italian for nose) in her nostrils, to a delighted audience. Can you tell us a bit more about the studio and the foundation and when were they established? We decided to open the studio when my father passed away in 2002, and we established the foundation in 2011. It was really important for us to preserve everything. If you have a foundation you are stronger – you are an institution stronger than a museum. We asked different companies to support this place, because unfortunately, my father wasn’t a businessman. We rent, and we pay a lot, for our storage, projects and so on. So, I’m not sure about the destiny of this place but I’m sure that we can continue to find a sponsor. We are very active in staging events regarding Achille. So, we just have to find a good compromise, a good solution to keep the studio alive in an economic way. The centenary of your father’s birth is an occasion to promote the foundation as well. Of course. It’s a very good occasion for us. To continue to share our stories in a different way. One space is dedicated to curiosities: We asked 100 designers to give us a little present just in remembrance of him – designers from all over the world brought an anonymous object to us. Because Achille was a very big collector. During his life he collected more than 1,000 objects. Where did he put all these objects when you were growing up? Everywhere. He loved to collect smart items, toys also. It’s related to the curiosity of Achille. And then we rebuilt an exhibition that Achille did in 1984 in Tokyo. And then we will have two exhibitions outside the foundation. From all of the designers that he’s influenced that gifted the items to you, what is the most surprising influence that he’s had on the new generation of designers? The new generation? I think all of them are inspired by him. They take a mini Achille with them. If you see a project designed by Jasper Morrison, you can recognize that there is a something related to Achille. But they have their own character. That are not linked to Achille, they are very good at their own projects. But in the same time, you can see when someone loves the functionality, or the sense of humour, or that the object is reduced to the essence. I’m really happy because they steal little pieces of Achille in a good way. Those elements of his work, the functionality, the sense of humour and reducing the product to minimalism. There’s also his willingness to explore different materials. He experimented a lot with different materials. 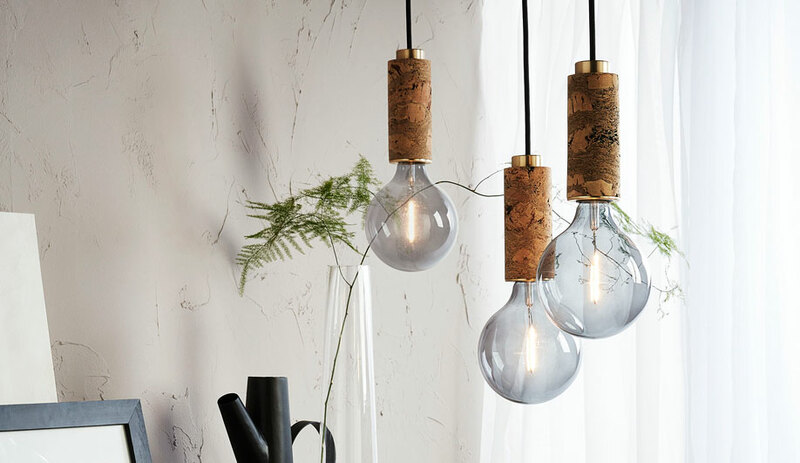 He designed lamps for every need and he solved a problem for every need. Even if it’s a need for something that you can kick like the Noce floor lamp. That’s strange enough, if you want to kick it, but if you want to move it up or down, kicking the oblong light lets you do that. It’s out of production, unfortunately. If you want to move the Arco lamp there is a hole through the base for a stick that lets you carry it where you want. Yes. 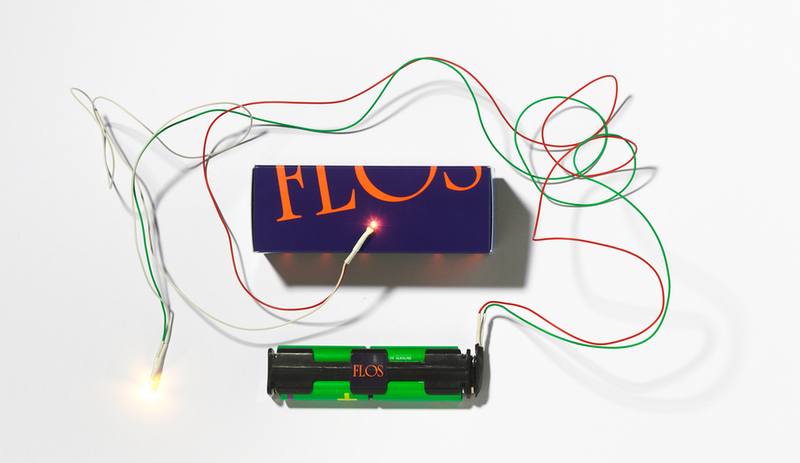 Especially if you think about the period with Flos – that they grew up together, they had a wonderful relationship with workers. My father was really humble, so he learned from workers, engineers. So, especially in Flos, also nowadays there is a wonderful team of people who respect each other. Which of your father’s projects is the most special to you? The lamp Giovi that he dedicated to me, the one that is like a smiling face with two buttons like eyes. And if you have a correct bulb, from behind the light effect is like a sun. I have many of them at home. 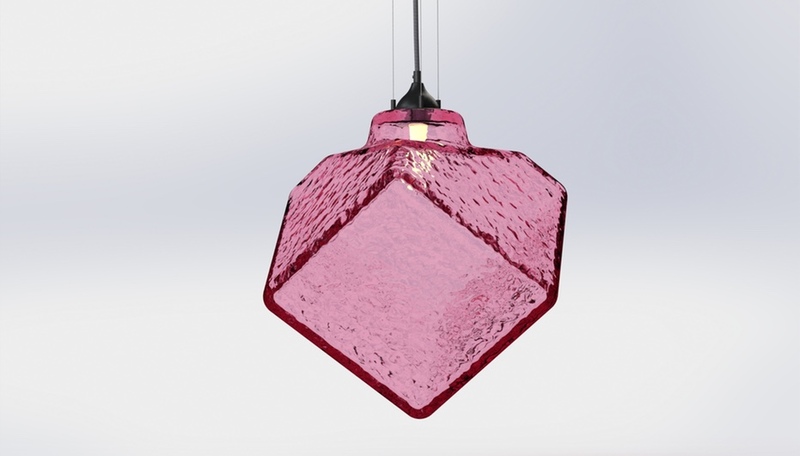 It’s no longer being made, but the Moni lamp for my sister, Monica, is still in production. But it’s not the past, it’s the base. The humanity of Achille’s work is really important, especially nowadays. You used to be a geologist. Do you bring a very unique perspective to the things that you’re looking at as a geologist? Do you do any of the curatorial work at the foundation? No, there’s a wonderful lady with us: Antonella Gornati, an assistant of my father. She’s better than a computer, she knows everything. She’s involved in the archive and working on every single piece of information on each project. Because we are lucky: Achille left everything and now we’re still using the life he left when he died, and so everything is over there. You can find contract agreements, photos, catalogues, prototypes, technical drawings. So, we need one person who is able to connect all things. Me, I am only the voice of the studio, and the front man, or we can say front woman? I’m the face and the voice. My brother helped me in the foundation, he was a doctor. And beyond, I know that keeping the foundation alive is enough of a struggle, but what do you hope for the future of the foundation? For the future of your father’s legacy? We need someone who believes in the place. I don’t want to move the archive. If you have a wonderful engagement in a place, that smell of cigarettes, the sound of the old parquet floor. You could move to Tokyo or America, but you’d lose a little of the taste that is only at Piazza Castello 27 in Milan. This is the point. So, for me, I can feel the pressure. But I live every day with a lot of energy. What do you think is the biggest gift that your father left with his work? To have a sense of humour. And not to be too serious. This gift, he gave it to everybody – so to be curious and enjoy your life. This I think is a good suggestion for everyone, especially nowadays. Especially in this period. I think it’s a good gift. For me, for everyone.